Having lived in Burlington in my childhood is probably the reason for my unnatural affinity towards one of my favorite microbreweries. 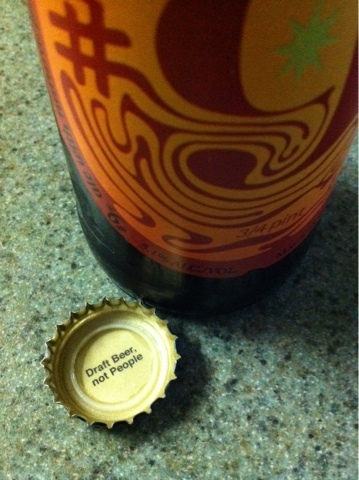 Enter, Magic Hat of Burlington, VT. Besides the delicious offerings, they are a humorous bunch over there. 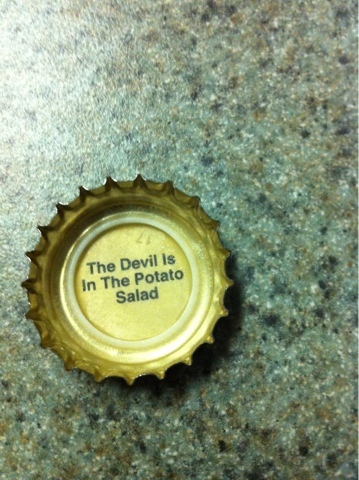 They always has the most awesome bottle top sayings. I love Magic Hat #9 of course, but I really dig Circus Boy & Winter Howl. The summer variety, Wacko is really excellent too! It's a little hard to find anything other than #9 in these parts unfortunately! I would LOVE to try their Hocus Pocus, Fat Angel & Night of the Living Dead. Has anyone tried those? If any of you work there, I would be willing to do a review! !